Since I started writing-or, rather, publishing- I have met lots of cool people, and made some great and lasting friendships. It's also been a journey of self-discovery, and one of the things I have discovered is that I am really, really terrible at writing reviews. I can talk about a book for days, but for whatever reason, putting that to paper is always hard. I generally kind of go "I liked it, you should read it" or "I didn't; don't". So that's what I am going to do here- five books that do indie publishing right. Enjoy. 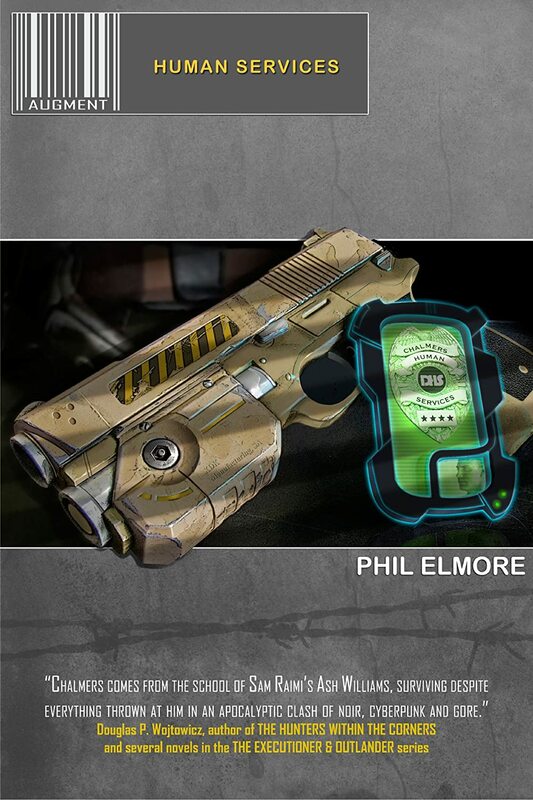 Augment: Human Services, Phil Elmore: This one was sent to me by Johnny Atomic, who did my cover. He had worked on this one as well, and it took me forever to get around to it, but I wish I hadn't waited. It's clever and different than a lot of the scifi out there. If you like grit and conspiracies, you'll love this. Augments: They're the plague of the modern world, a deviant class of cyborg surgery addicts who've been herded into ghettos for the safety of those still legally human. As tensions in the tech ghetto rise, David Chalmers, an agent for Human Services, is sent behind the walls on a routine extraction. What he discovers is a helpless young woman maimed by unthinkable implant technology... and a murder, for which Chalmers is promptly framed. Hunted by assassins and wanted by his own government, Chalmers must peel back the layers of a conspiracy without losing his own humanity to a back-alley surgeon's knife -- but first, alone and unarmed, he must survive the tech ghetto itself. 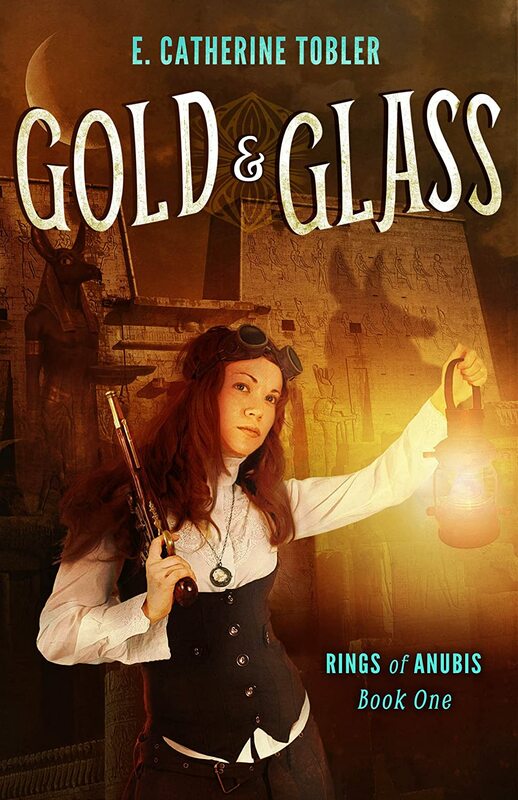 Rings of Anubis, E Catherine Tobler: A steampunk adventure in all the best ways. Adventure stories are always my favorite, and this one is suspenseful and fun. Plays with time travel, exploration of Egypt as well as real-world events (the Paris World Fair is described wonderfully). Paris, 1889: A time when the world looks to a future of revolutionary science and extraordinary machines. Archaeologist Eleanor Folley looks back to Egypt’s ancient mysteries and her mother’s inexplicable, haunting disappearance. Agent Virgil Mallory, a man with ghosts and monsters his own, brings evidence of a crime that leads Eleanor into deepest Egypt again. Dangerous marauders and revelations from beyond the grave are part and parcel of adventures in the desert, but Eleanor doesn’t count on crossing paths with the guardian of the underworld—Anubis himself! 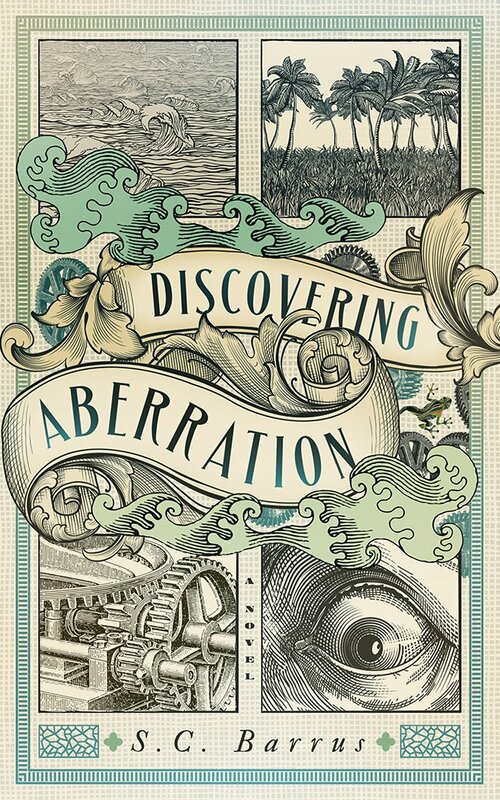 Discovering Aberration, S.C. Barrus: Another steampunk adventure, although a bit more traditional- but that's the idea. Written to the tune of most major steampunk tropes, it doesn't take itself seriously at all and constantly pokes fun at the conventions that populate the world. All the while, it manages to tell a fun treasure-hunting story. An ancient map stollen. A lost civilization discovered. A terrible secret unleashed. But nothing is as simple as it appears from halfway across the world. Old acquaintances become enemies, professional rivalries turn violent, and a notorious gang lord wants his map back. The island itself holds dangers that Freddy and Lumpen couldn't have prepared to face--and horrifying secrets that might be better left buried. Beset by wild beasts, cutthroat competitors, and dangers darker still, the two men fight not for glory, but their own survival... before the island pushes them past the brink of insanity. 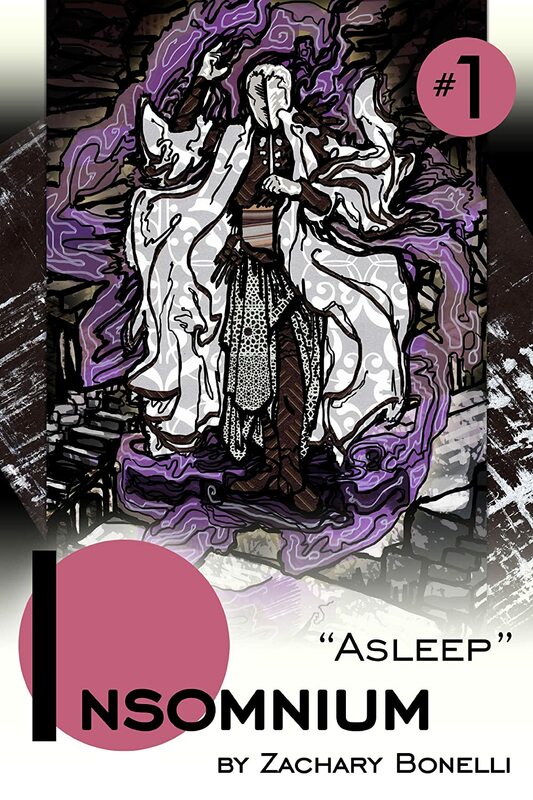 Insomnium, Zachary Bonelli: This is the first is a series of great reads, which I always struggle to describe properly. Think Sliders, maybe. But... better. As I've said, I love adventures, and this is an adventure though a series of artfully-crafted alternate universes, with great characters and great stories. Nel Hanima lives in Seattle of 2089, a citizen of the newly organized Western Union. Life has stabilized since his childhood, when he lived with his parents in the Queen Anne community bunker. Government has been reestablished, and order restored. Famine and disease no longer run rampant, and the economy has stabilized. But still, the trees and grasses grow browner. The Sound continues to rise, swallowing up neighborhood after neighborhood of Nel's youth. A faint tug drags at Nel day after day. The suspicion that his life is without purpose or meaning or hope grows ever stronger. One night, he falls asleep in his apartment and awakens in the City of Nowhere, an impossible conundrum world of inhuman citizens, where time and space are an illusion and paradoxes run rampant. As Nel explores the city, he meets Giniip Pana, Rev Merveille, and Drogl Belgaer, humans from alternate versions of his world's timeline. Together with his new friends, Nel works to unravel the mysteries of Nowhere, to learn how he came to be there, and discover not only a way to return to Seattle, but also the purpose and meaning his life has lacked. Isaac the Fortunate, A. Ka. 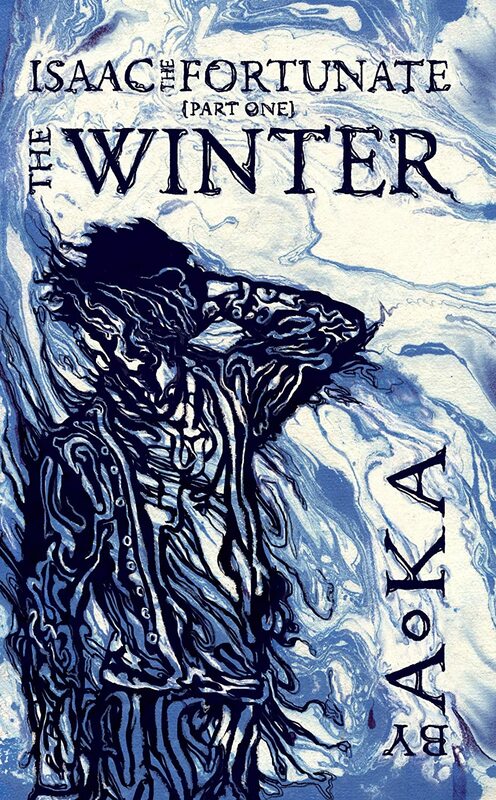 : This is a fantasy series (The Winter is book one) that doesn't drag on forever or star some kid from a village in the middle of nowhere who is the chosen one, so it gets instant points in my book. Instead, it plays off much better scenarios, consequences and human emotion. Beltran had humble ambitions—to farm his land, to grow his family, and to live fruitfully with his wife, Amaranta. The winter of 1553 had different plans. After a crippling famine, unbearable storms, and a devastating plague known as the Delirium, the winter had taken everything dear to him. Then, through the backhanded kindness of a mysterious traveler and her time-obliterating potion, he got everything back. His salvation is the beginning of his problems, as he discovers just how stubborn history can be. Greater forces are at work. The more Beltran learns about the circumstances, the less he understands—especially when it comes to the traveler and her inept husband, Isaac. In their quest to stop the Delirium, she and Isaac won’t let anything, or anyone, get in the way of their senseless plans. Beltran fights for his simple life, his love, and his future... again, and again, and again, even when he finds nobody on his side, not even his dear Amaranta. There you go- a few books for your summer TBR pile. I hope you enjoy them!